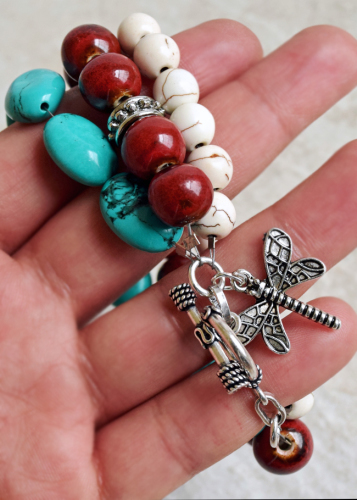 Jewelry making for beginners – I had some fun with these easy DIY bracelets, combining stone beads and charms to mix and match. 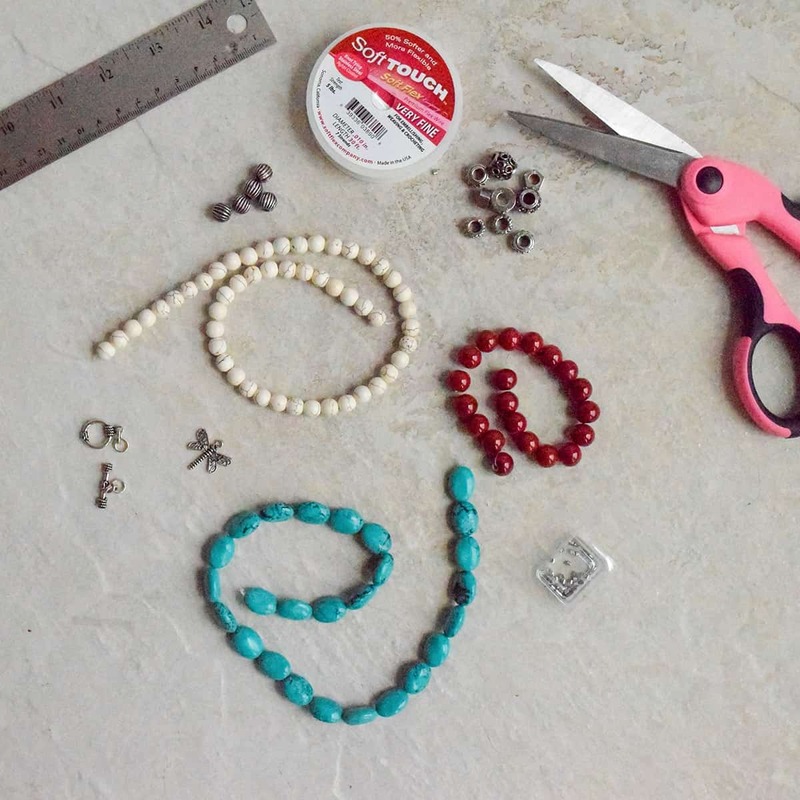 Beginner jewelry making doesn’t require many supplies, so that makes it a great project for craft night or a rainy day! I have just completed a new adventure in DIY – making jewelry! Fashionistas, watch out! Actually, I will admit that I have always been very impressed by those who make jewelry and accessories. Personal expression is another sign of creativity. I see all those jewelry supply aisles in craft stores but I thought you might need tons of tools to even get started. But, it turns out, I was wrong and this bracelet only took me about an hour with no experience! The best thing about this project is selecting the beads. They had all the supplies I needed including clasps, charms, and even wire! Their wholesale prices were impressive! Actually, cheaper than my local craft store. I chose turquoise and mixed in some 8mm howlite and maroon ceramic beads. I really like the color combination. I can see how this can be an addicting hobby because I already have a wishlist, haha. Ok, so let’s get to making! Step 1- Layout your beads and spacers how you want them to be. (For the astute observers out there, you may notice I made a few changes later in the order of beads). Decide the length of your strand. 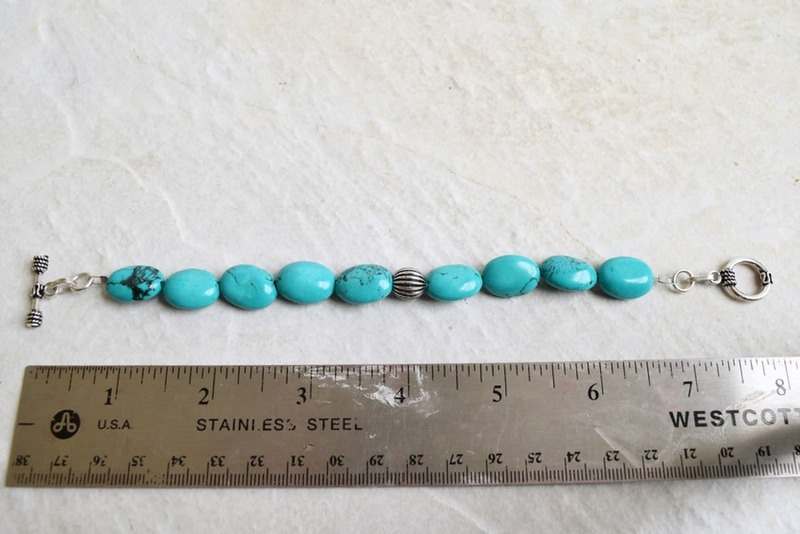 My total length was 8 inches with an 1.5 inches for the clasp.Therefore, I designed for a 6.5 inch string of beads. 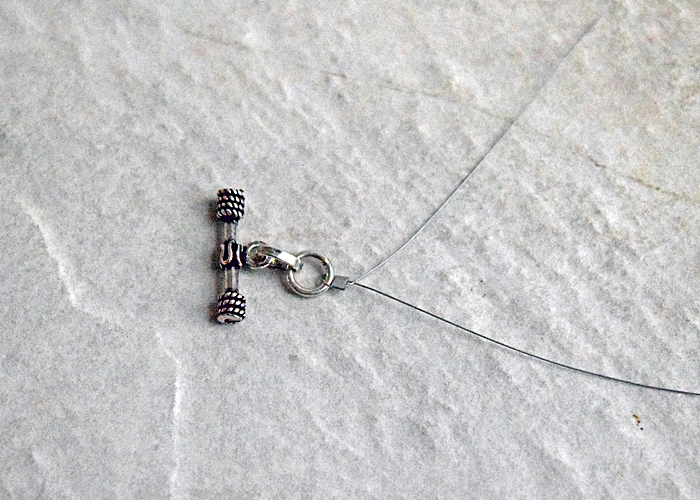 Using the flexible wire, thread one string of beads on it. Tip: Many steps are made easier by stringing the beads while the flex wire is still on the spool (uncut). Step 2- After the beads were on, I threaded the flex wire through a crimp bead, then through the closed hole that attaches to your clasp, and then back through the crimp bead. Pull the crimp bead up close to the clasp, and, using a special 4in1 tool or a set of pliers, flatten (a.k.a. crimp) the bead closed. Test the ends to make sure everything is secure. 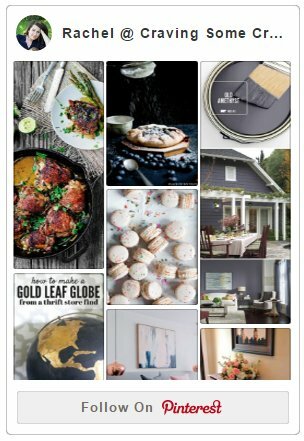 It should look like the picture above . You will have a tail on the flex wire. Slide the beads down towards the clasp and thread the tail back through 1 or 2 beads. Trim the excess tail. Step 3- Now cut the flex wire from the spool. I cut mine around 9 inches for extra tail. Test on your wrist for proper fit. Repeat Step 2 on opposite side with the other clasp piece. Now, you could stop there and it was really pretty, but I wanted something bold. I added the other two strands of beads simply by repeating the steps above and adding to the original clasp pieces. I then added a cute dragonfly charm. I already have ideas for my next jewelry making adventure. I have this old-school belief that every woman should own a set of pearls. And by pearls, I mean any round uniform strand similar to a pearl necklace. It is just so classic chic. I lost my old one and I know exactly what I want to use. Check out these blue goldstones and banded agate. They got that whole mysterious and sparkly attraction. I am totally for that! Hey, does this mean I am becoming a fashionista? haha, probably not but I can now wear my creativity! 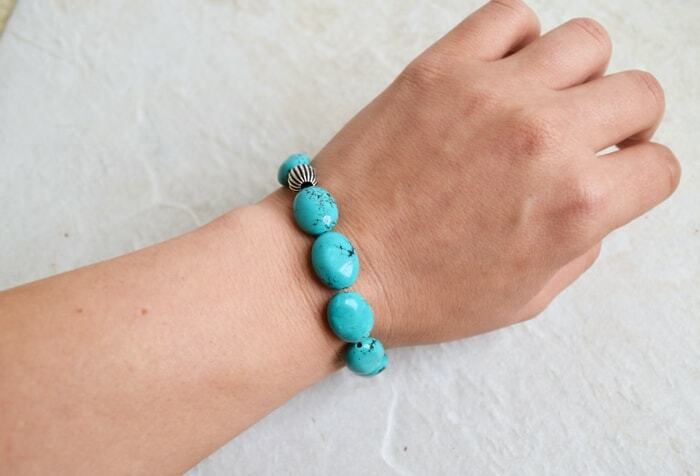 I love the turquoise!!! These would make such great Xmas gifts! I have four sisters…sister bracelets!!!!! Wow! 4 sisters. That must be so much fun! I only have one and we are polar opposites but still share a special relationship. Funny how family is like that. Eh, I mean…sure it was fun. Also very tough lol We were quite catty and I know what you mean about opposites!